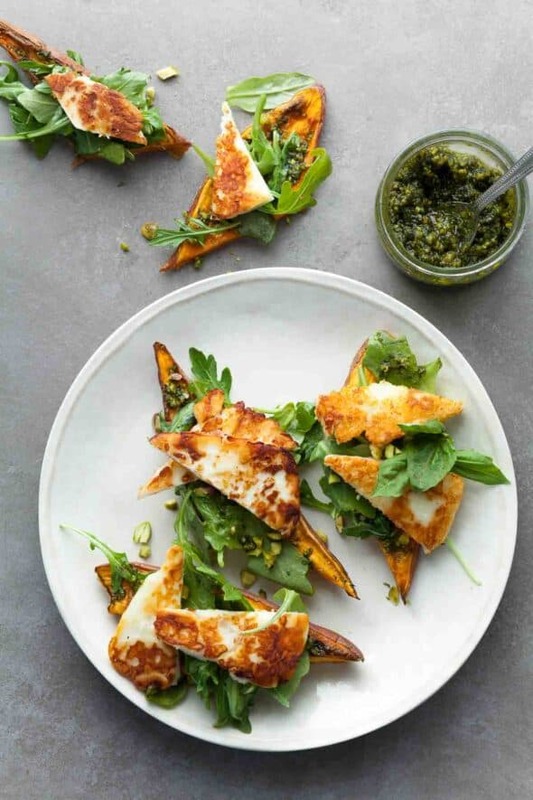 These arugula and halloumi topped sweet potato tartines (toasts) make a terrific lunch or fun and unexpected appetizer. 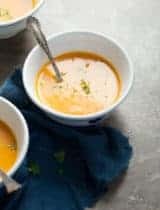 As you may have noticed by now I’m a bit partial to mixing sweet and savory flavors; the combination adds such a wonderful depth of flavor to dishes. A touch of honey mellows out a fiery dish, or a sprinkle of cheese enhances the sweetness of fruit. 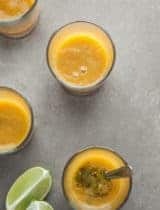 These sweet potato tartines are yet another example of how sweet and savory just make my taste buds sing; each bite is loaded with sweet, peppery, nutty and salty flavors. Here the sweetness comes not from honey or fruit but sweet potatoes. I’ve taken inspiration from the sweet potato toast craze going on at the moment and sliced them up lengthwise to create the base of the tartines. 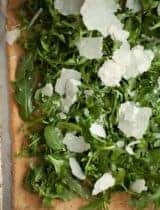 You just brush the slices with a light coating of oil and a sprinkle of salt and place them directly on the oven rack to “toast” until they are tender on the inside, and beginning to brown on the outside. The slices are surprisingly sturdy and make a nice base for all kinds of toppings. 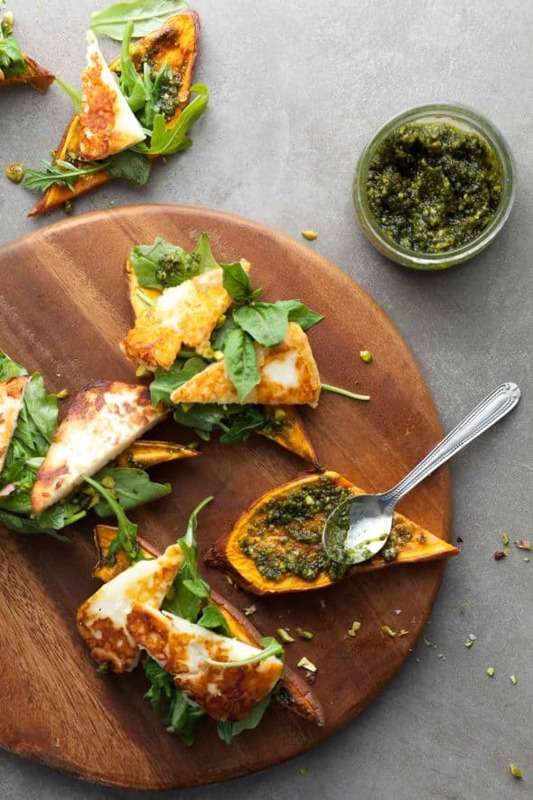 I’ve topped my tartines with a rich and nutty basil pistachio spread, peppery wild arugula and slices of warm and salty halloumi cheese. The basil pistachio spread couldn’t be easier to make either, just throw a handful of basil and pistachios along with a pinch of salt and a good glug of olive oil into the food processor and pulse. A squeeze of lemon juice at the end gives the mixture just a bit of brightness. Chewy slices of halloumi are the perfect salty finish. If you’ve never had halloumi before it’s a wonderful sheep’s milk cheese with the same salty appeal of feta but that’s firm enough for grilling or frying. 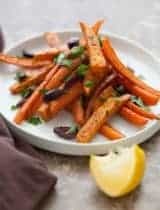 Preheat oven to 400 degrees F. Brush sweet potato slices on both sides very lightly with oil and season with a pinch of sea salt. Place directly on oven rack to bake, turning once until browned and tender, 15-20 minutes total. Remove from oven and set aside until cool enough to handle. In the meantime in a mini food processor purée olive oil and basil with pistachios, salt and lemon juice until just blended. 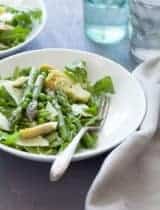 In a large bowl toss the arugula with ½ the basil pistachio oil. Set aside. 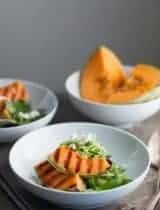 Spread the remaining basil pistachio oil on the baked sweet potato slices and top with arugula and warm halloumi slices. Season with salt and pepper if desired and top with extra chopped pistachios. Serve immediately. So sweet potatoes are the new kale and cauliflower? Maybe people will learn to eat them without marshmallows and brown sugar. That's a great idea to use sliced sweet potato as the base for "tartines." Pretty, practical, nutritious. 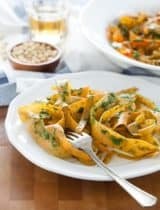 Literally my favorite cheese and vegetable! So awesome! Sylvie - these toasts are amazing. 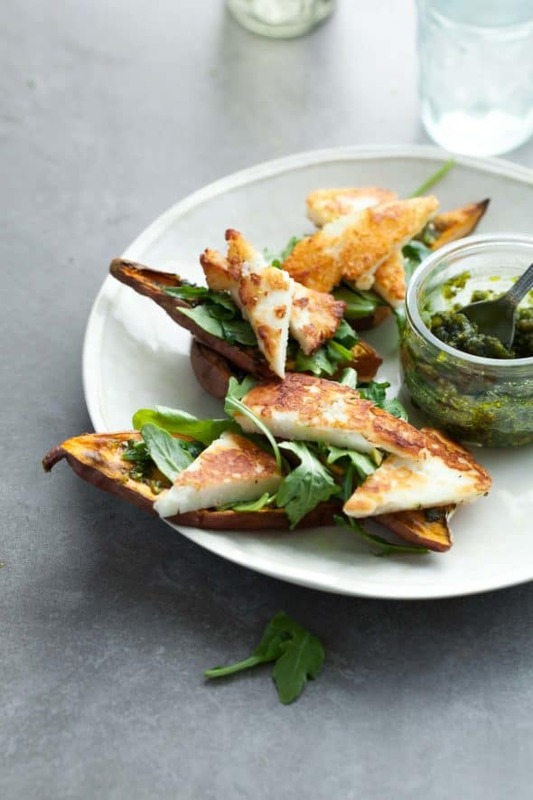 I love the sweet potato paired with the halloumi and pesto. Such a treat! That looks so fresh and delicious! 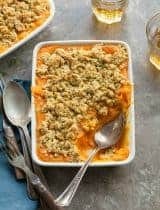 I love using sweet potatoes in lots of applications! This is such an awesome idea! Creating new meals with merely changing shapes of known foods - love it!